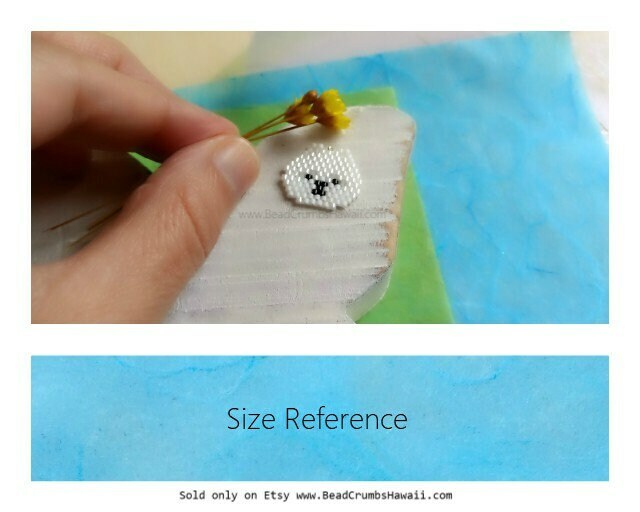 You can make your own cute white beaded Pomeranian toy dog with this easy seed bead pattern available in a downloadable file. Measuring 2 cm. in width and 1.7 cm. 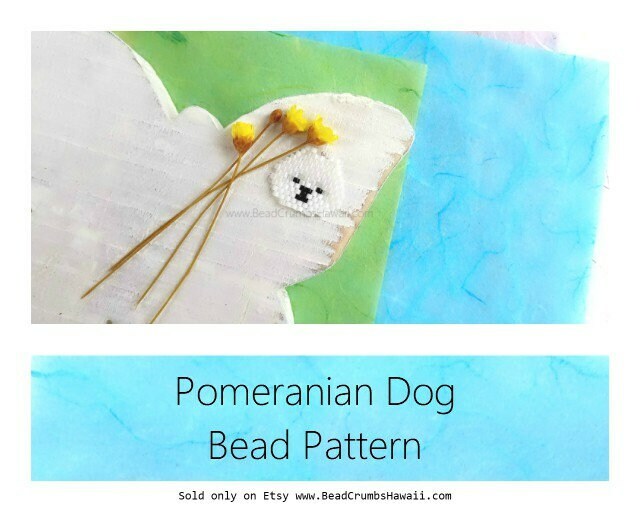 in height, the Pomeranian is made by hand stitching individual Delica seed beads together in the brick stitch bead weaving method. You will need to have knowledge of basic bead weaving stitches including the ladder stitch, brick stitch or peyote stitch. 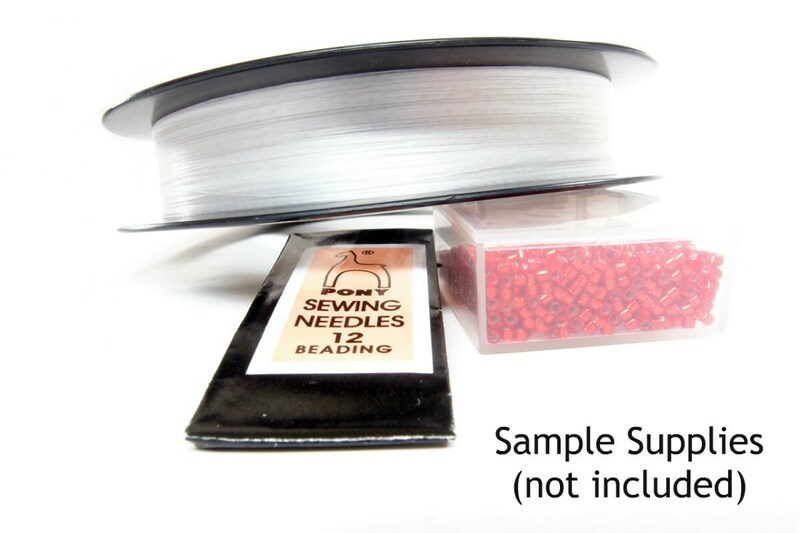 120 Delica beads in 4 colors are used in this pattern. Feel free to change the bead colors. 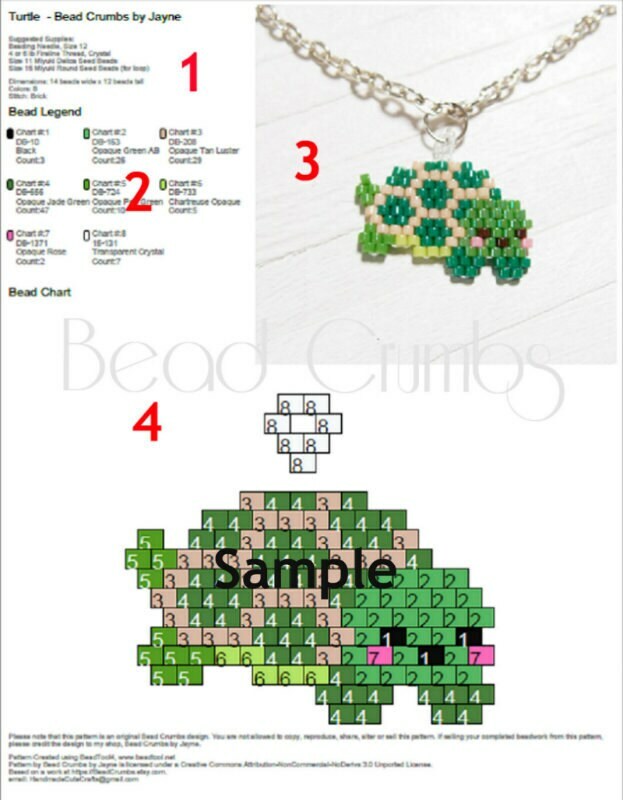 Please see the last photo of a sample pattern file. Such a fan of Jayne's patterns! They are so cute, easy to read and to weave! I always look forward to seeing every new pattern that she makes available, they are never a disappointment! I follow her on Instagram & Twitter so I don't miss a thing! Easy to follow pattern & good support from vendor.